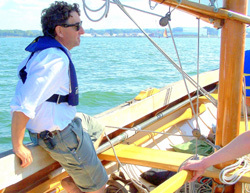 Captain Rich sailing on the Erie Boat, the student built reproduction of the cat-ketch rigged fishing vessel that made Erie, Pennsylvania the freshwater fishing capital of the world, 1890-1910. Any school is only as good as it's instructors and staff. 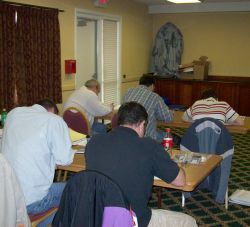 Good instructors help insure good results. And in this regard, Sea Tech Marine Training is very proud to be affiliated with the following individuals who comprise our veteran teaching staff. 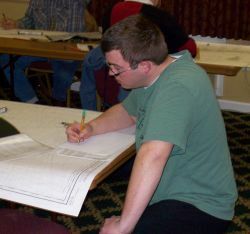 Some of our instructors are professional educators by vocation. 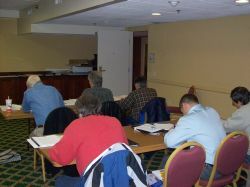 Some of our instructors have long standing business interests in the boating industry. All of our instructors are seasoned mariners with many years of seagoing experience. Each brings his enthusiasm, dedication, and commitment to the classroom to help produce the best possible outcome for each student to the best of their ability. Captain Daniels holds a USCG license at the Master's level and has been involved in professional maritime training since 1984. After spending five years with Houston Marine Training, he started Sea Tech Marine Training to service the professional training needs of those living in the Eastern Great Lakes. Since 1984, Captain Daniels has personally helped over 3,000 students obtain their USCG license. A former Charter Captain, he owned Lighthouse Charter Service and conducted charters in the eastern basin of Lake Erie for Walleye. In addition, he is a life member of the United States Power Squadrons where since 1977 he has taught a variety of courses. In 2002, Captain Daniels won the coveted Charles F. Chapman award for excellence in teaching excellence in teaching. Dennis is a past president of Marine Education Standards and has served as Director of Marine Operations for Corn Hill Navigation and Master of the passenger vessel C/V Sam Patch. 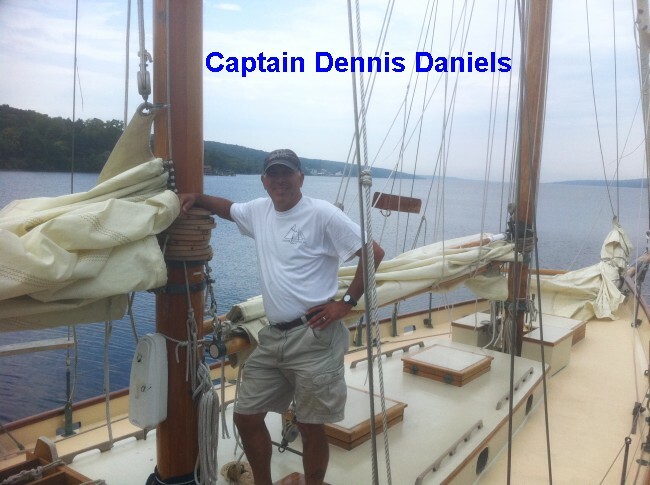 Dennis has worked for Schooner Excursions aboard a 1926 John Alden designed Malabar Schooner, True Love, served as Master aboard the C/V Screamer, a high speed thrill boat on Oneida Lake in upstate New York and currently is a Master aboard a tour boat on New York’s Finger Lakes. Captain Rich joined our instruction team in 2002 and holds a USCG 100 Ton Near Coastal Master's license with Sailing and Assistance Towing endorsements. He has sailed, raced, and taught sailing in Erie, Pennsylvania, since a teen, and has sailed extensively in Hawaiian waters while living on Maui with his wife and son for 11 years. 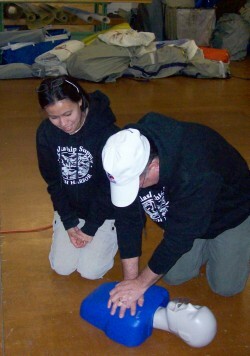 He is a US Sailing Keelboat Instructor and a NAUI Scuba Diver. Rich is a co-founder and the Executive Director of the Bayfront Maritime Center (BMC), on Erie's waterfront, www.bayfrontcenter.org . BMC’s mission is: to design and implement hands-on maritime themed educational, vocational, and recreation opportunities for the community in a universally accessible waterfront facility. BMC uses boatbuilding, sailing, navigation, and environmental science projects, aligned with Department of Education Standards and STEM Principles, (Science, Technology, Engineering and Math) to reach kids. Rich has built 89 boats and sailed with over 14,000 students, 5th- 12th grade, since starting BMC in 1998. Steve is an avid cruising boater. He and his wife actively cruise Lake Ontario through the summer months. Steve is a very involved member of the United States Power Squadrons, holding the coveted distinction of being a Senior Navigator. He serves the organization in numerous capacities and has served as a Squadron Commander. 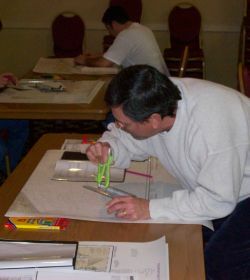 Steve teaches a number of courses at the Squadron level and has served as Education Officer at the Squadron level. Steve is a USCG licensed Master with a towing endorsement and is the area manager for Sea Tech Marine Training in the eastern and central portion of New York state. Ken is a retired Navy Master Chief with 26 years of service on a wide variety of vessels. 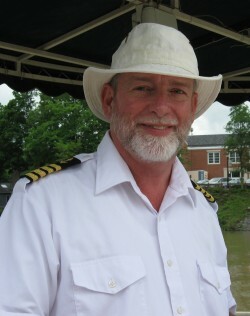 In addition, since his retirement , he has become an avid boater and cruises Lake Ontario each summer extensively During Ken's Navy days he spend a great deal of his service as an Instructor at various Navy training schools, conducting courses on a variety of subjects including Radar, and small vessel navigation. We are very happy to have Ken on board as he joins our team of instructors. Ellen holds a Bachelor’s degree from Michigan State Universityand when not teaching USCG licensing Courses, or running the Port City Princess spends time as a substitute teacher. Ellen holds a Master’s license in the 200 Ton class and has been teaching Sea Tech courses now for three years. An avid boater, she spends her off duty time sailing her boat on Lake Michigan. Captain Sullivan holds a 100Ton Master’s License for Near Coastal Waters with Sail and Towing Assistance endorsements. He is a graduate of the U.S. Coast Guard Academy and served on 4 different Coast Guard Cutters in various capacities during his 30 years in the Coast Guard before retiring at the rank of Captain in 2007. In addition to his Coast Guard experience, he brings a lifetime of boating experience and is presently an avid sailor and power boater in Buffalo, NY. Chris is an avid sailor who has a reputation for having the most "Bristol" boat on Lake Ontario. He and his wife actively cruise Lake Ontario through the summer months. When not working on his boat, Chris is a very involved member of the United States Power Squadrons, holding the coveted distinction of being a Senior Navigator. He serves the organization in numerous capacities and has served at both the District and National levels. He has also been a Squadron and District Commander. Chris teaches a number of courses at the Squadron level and has served as Education Officer at both the Squadron and District levels. At the National level he assisted in the development of new courses. Chris is a USCG licensed Master with towing and sail endorsements and is the area manager for Sea Tech in the eastern and central portion of New York. Captain Guy and his family own Tibbels Marina and Charter Boat Service in Marblehead, Ohio. Guy has over 25 years of charter boat experience and is also is a certified High School teacher in Ohio. Guy heads up the Marblehead office for Sea Tech and has been with the company for the past five years. Carrie has extensive experience as a licensed Master for the Uncle Sam Boat Lines, in New York's Thousand Islands. She has served as a Captain for them for the past nine years and prior to that was a deckhand and tour guide. She brings extensive experience as a Master of large tour boats ranging from 11 to 92 tons. Her wide ranging experience includes crew training, basic diesel maintenance,, vessel safety and security, electrical systems and she also is an approved Instructor for a USCG approved training school in Cape Coral, Florida. Check our other pages (links on the left) for additional information on our instructors, other services that we offer, and descriptions of the courses that are currently available through Sea Tech Marine Training.